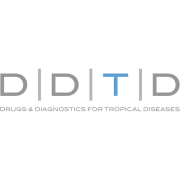 Drugs & Diagnostics for Tropical Diseases (DDTD) is a unique non-profit (501c3) venture based in San Diego, CA, with a mission "to discover new treatments and develop diagnostics for neglected tropical diseases". These diseases have been typically neglected from research and development efforts due to the perceived lack of profitability and are commonly referred to as Neglected Tropical Diseases or NTDs. Would you recommend Drugs & Diagnostics for Tropical Diseases?